How would you go about looking for all the instances in the Bible where it says that Jesus is doing some kind of teaching. (I'm going to use English examples here to simplify things.) 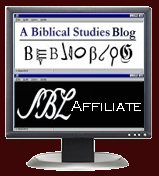 Using Bible software such as Accordance, BibleWorks, or Logos, I suspect that your first inclination would be to look for all instances of "Jesus AND teach." [For English, "(teach* OR taught)" - Yes, Greek would be easier searching for some form of διδασκω or words related to that root.] You would get about 35 hits in about 34 verses. So, what's wrong with those results? The problem is that the software is only searching for where the two words occur in the same verse. So, how do we get around that problem? You could just search for "Jesus" and then skim through all the results to look for all the instances when it says, "He was teaching..." (or something similar) and the "he" refers to Jesus. The new Logos 5 is trying to accomplish what I just described with their Speaker Labels and their Clause Searches where you can identify with greater specificity who is the subject or being mentioned. This is a great improvement, but it still won't get you all the results, however. Similarly, let's say you want to find all instances of "light* AND dark*" You will get lots of hits, but again, due to the search-by-verse orientation of the software, you would miss texts like Isa 42:6-7; 60:2-3; Luke 23:44-45; Col 1:12-13; 1 John 1:6-7. The new Logos features won't help you out here, so what should you do? Each of the software packages has a way of searching apart from verse limitations. In Logos, you can specify occurrences within X many words using BEFORE, AFTER, WITHIN, NEAR. (Look here.) For the search to work properly, however, you need to search on the "Surface Text" which is one of the search fields you can specify. That is going to work better doing some kind of cross-verse search, but you are still going to end up with odd and unpredictable results depending on how many verses or words you arbitrarily choose to search across. The Hebrew Bible texts have always had some system of markings indicating various levels, and those have largely been incorporated into our modern chapter and verse divisions. For the New Testament, Eusebius divided the Gospels into what we might call pericopes in the 3rd century. Chapter divisions were introduced in the 13th century by Langton. Verses were introduced in the 16th century by Stephanus. (Pagnini had a prior Latin Bible in 1528 that had a different versification scheme that was based on larger units of thought or action. For more on his [superior] versification, look here and here.) For more on all this Wikipedia provides a reliable enough account. For better Bible searching, then, here is my proposal. I would like to see the option of being able to search biblical texts within (what I will call) pericopes rather than just within verses. I am not a programmer, so I don't know how difficult of a thing it is I am suggesting. I also know that defining pericope units can also be a subjective decision in many instances. Still, we already have many Bible outlines breaking biblical books into sense units that could be used. (BibleWorks includes 13 outlines as used in the RSV, NIV, NET, ESV, etc. Eusebius' work on the Gospels has been improved with a variety of Gospel synopses.) The beauty of this approach is that I wouldn't need to specify a verse range. I would be more likely to find the instances where Jesus is teaching based on the words of the text. I would automatically get John 7:38-39 when looking for instances of "water AND spirit." I would get Psalm 23 if I look for "shepherd AND staff." Does anyone else think this would be a good idea for the Bible software programmers to pursue? Am I missing anything? Is there already a way in Accordance, BibleWorks, or Logos to do this of which I am unaware? What about any of the other Bible software programs? Thanks to Rubén Gómez for pointing out in the comments how in Accordance you can use "scope" to search withing paragraph, chapter, or book. I suppose "paragraphs" would be close to pericopes, but I'd still like to search within something like John 3.1-21 (Jesus and Nicodemus) which is usually broken into 4 paragraphs. BTW, thanks also for sharing your search on the Faithlife community forum. That worked well for me to connect to it and open it in my Logos. In the comments, Dominick Sela appears to have found to get the desired results in Logos by using a Basic Search. To add some specifics, use the Basic Search. Choose to search "Bible Text" (not "All Text") and choose the version you want to search. The scope of the search is within the defined sections of that particular version, so you will get different results depending on the version and how it splits pericopes. Though you cannot conduct morphological searches using Greek/Hebrew, you can still use this Basic Search, choose a Hebrew or Greek text (that has interlinear coding), and search using English terms. The scope appears to be by chapter. What you propose can be easily done in Accordance by setting the scope of your search to Paragraph. You can even widen the scope and set it to Chapter or Book, but I'd recommend Paragraph if you want to find whole pericopes. Logos does "phrase searching" like you are suggesting using the Syntax Search option. I created a search for "light" and darkness" in the NT using a Syntax Search. With Logos 5 you can connect to it to take a look here: https://faithlife.com/logos-syntax-searching. It returns 32 different verses or verse groups in the NT (including, for example, Col 1:9-16). It returns all the verses you mentioned except for 1 John 1:6-7, since the Syntax database classifies verse 6 and verse 7 as two separate sentences. Thank you for a helpful post (and comments). This issue is exactly the problem and constrained I have been feeling in my exegesis. It is great to know what options lies out there. Pericope search you have suggested would be great. The concern for me is that pericope (or sentence) division itself is often times an important exegetical decision. It is a very complex matter in the Prophets. I think the software needs to allow us to decide whose pericope division we would use (translation, commentators, texts such as Leningrad Codex, etc.). In Logos, if you do a Basic search instead of a Bible search, you have the full proximity searching capability across verses. Just do basic search, turn on "Match all Word Forms", and search for light AND dark and you get all the verses you highlighted in your article that were missed. In my search it found 74 results, and it will even give you a count down the right hand side as to how many times either of the words shows up.